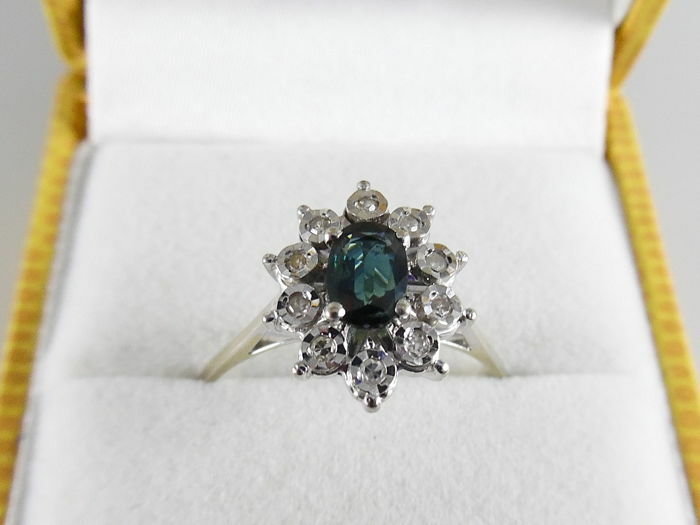 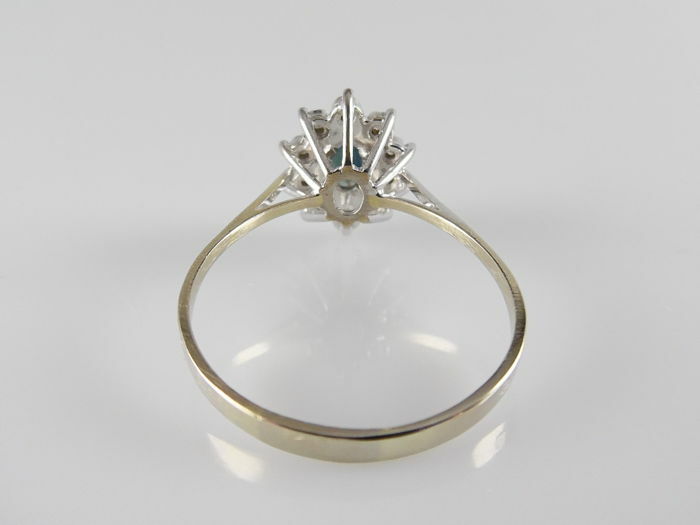 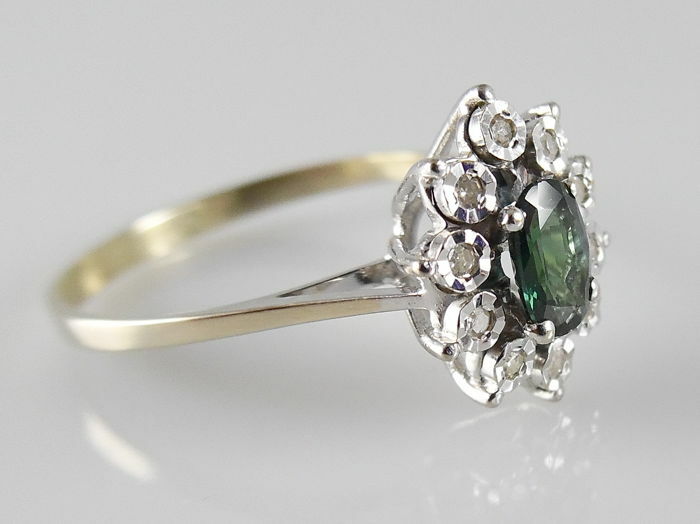 This classic entourage ring with blue-green sapphire has a crown of 13.3 x 11 mm. 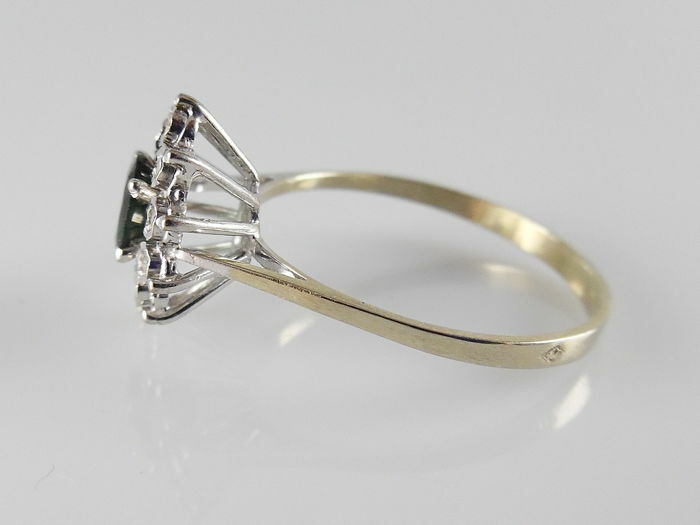 The ring is marked with the French hallmark for 18 karat gold. 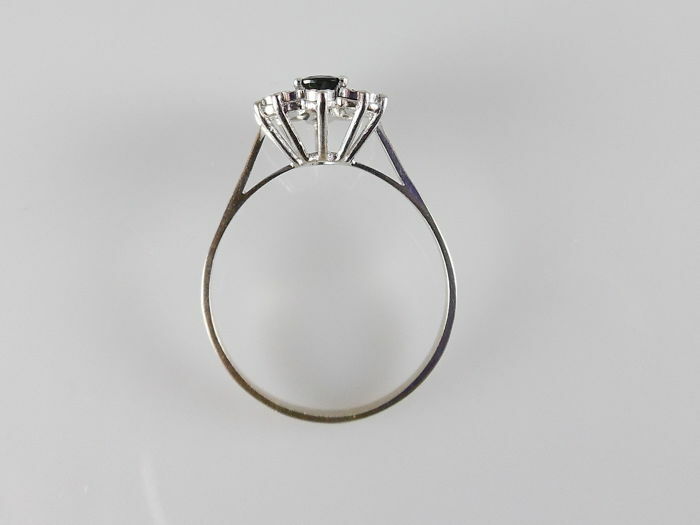 - 10 octagon cut diamonds, of 0.10 ct in total, colour and quality H-VS/SI. 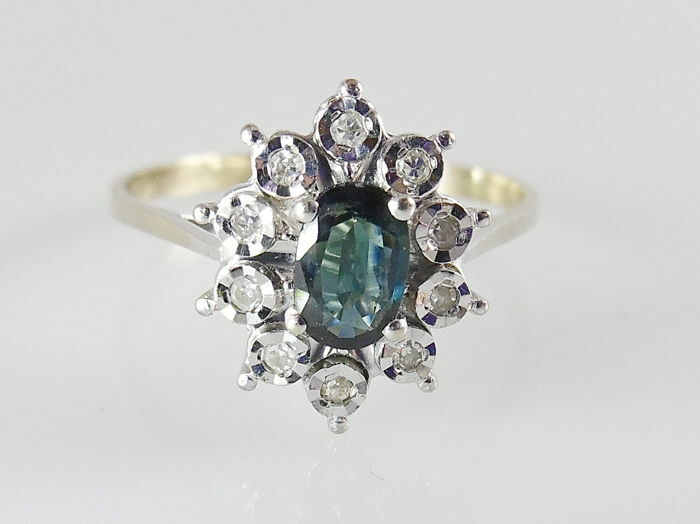 - An oval facet cut blue sapphire, 6 x 4.1 mm, this is approximately 0.45 ct. 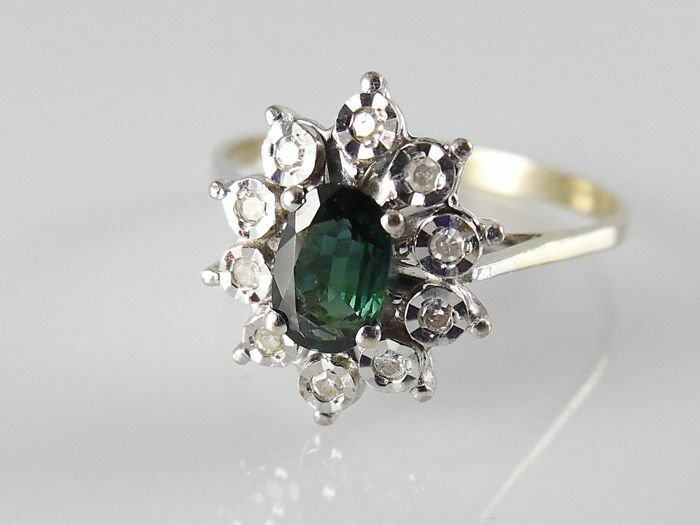 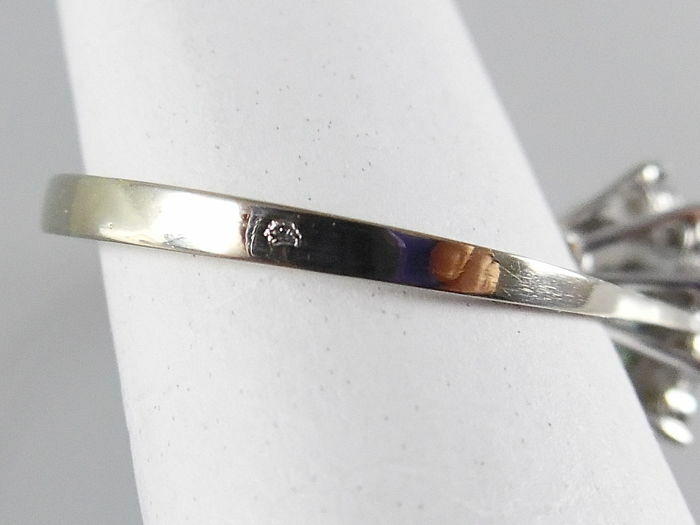 This ring will be shipped in a luxurious jewellery box by registered and insured mail.